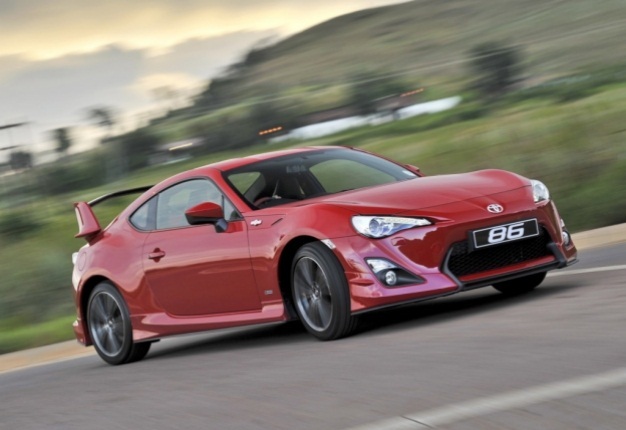 PORT ELIZABETH - Toyota's 86 added much needed 'wow-factor' when it was launched in 2012. Toyota South Africa has launched a new high-spec derivative and a new limited edition model, the latter only available in red or white. Only 86 units will be sold here. In short, the limited edition model comes standard with a giant wing, interior upgrades, special badging and red interior. Toyota says the cars have already arrived at dealers, but are likely to be "sold out within the next five months". The automaker says: “Creating a new halo model for the 2+2 coupe range, the new Limited Edition will be available exclusively as a six-speed manual in a choice of two colours: White and 86 Red. The focus is on sports styling with the aim of amplifying essential performance and handling characteristics. The external package includes deep front and side skirts, a rear bumper spoiler (a very prominent wing) and Limited Edition nomenclature." The Limited Edition has red accents on the steering wheel, gear lever, hand brake and door panels. It also receives a combination black/red Alcantara leather sports seats. The car is known in Japan as ‘Hachiroku’, which translates as "eight six", the name South Africa has adopted. In Europe it’s called the GT86 due to the historical links those countries have with Toyota’s pedigreed sports cars of yore, says the automaker. The car's global chief engineer, Tetsuya Tada, has revised the way suspension components are attached to the chassis and has decreased body roll, increased handling stability and response by specifying new suspension mounts and adopting lower-friction oil, oil seals and guide bushings. integrated boot spoiler on the High versions. Toyota has even listened to customer’s feedback about the previous poor sound system so all 86 models have been upgraded to an all-new display audio system with full Bluetooth functionality. Integrated satnav is available as an optional extra. Toyota 86 models are sold with a four-year or 60 000km service plan included in the purchase price (service intervals are 15 000km), along with Toyota's comprehensive three-year or 100 000km warranty. A comprehensive range of accessories is available for the Toyota 86.